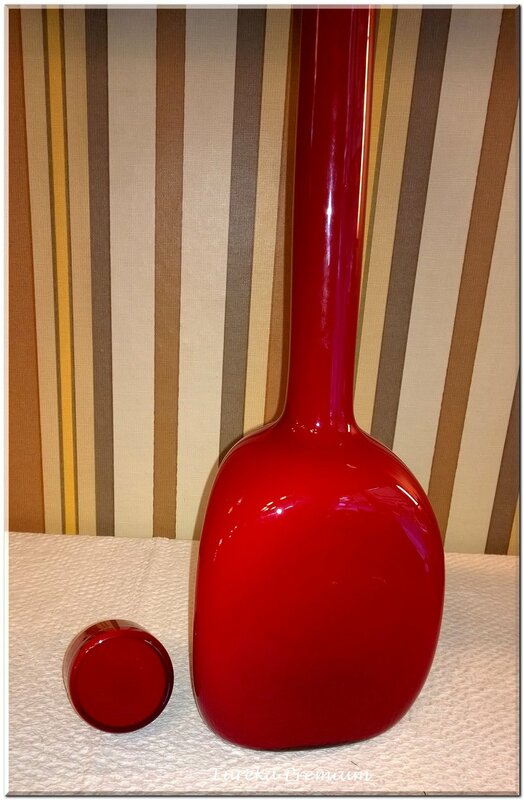 Red cased glass vase or bottle with stopper. 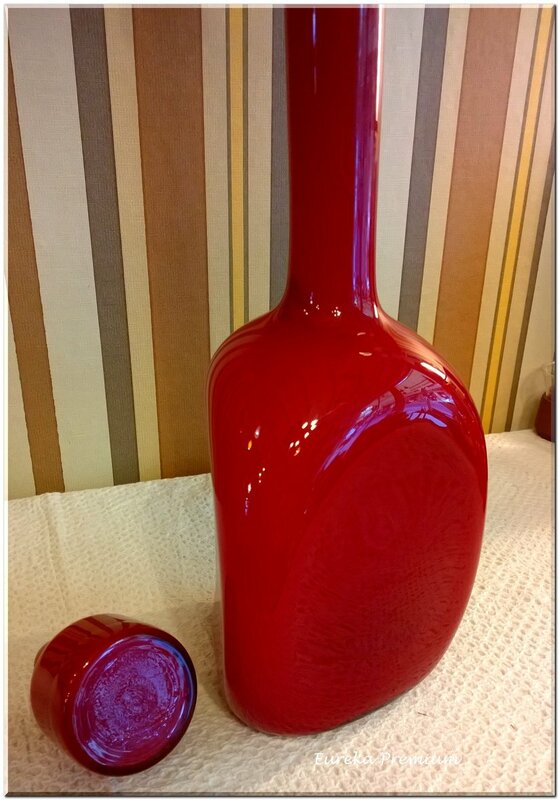 Very nice bottle, very modern and unusual. 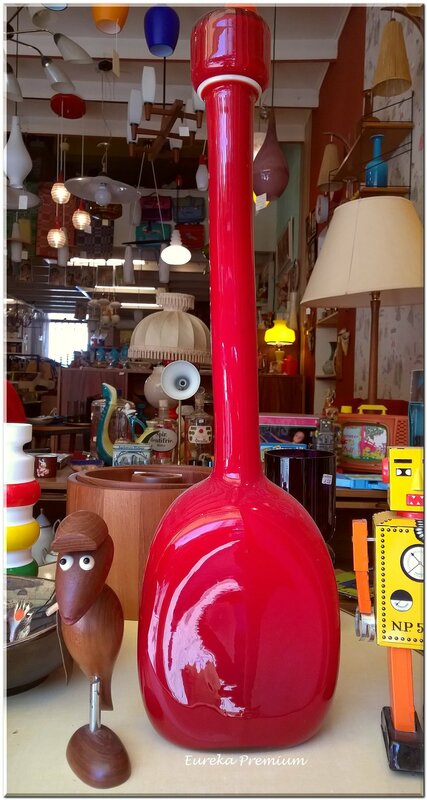 In excellent vintage condition with no chips, cracks or restoration. Normal age wear. 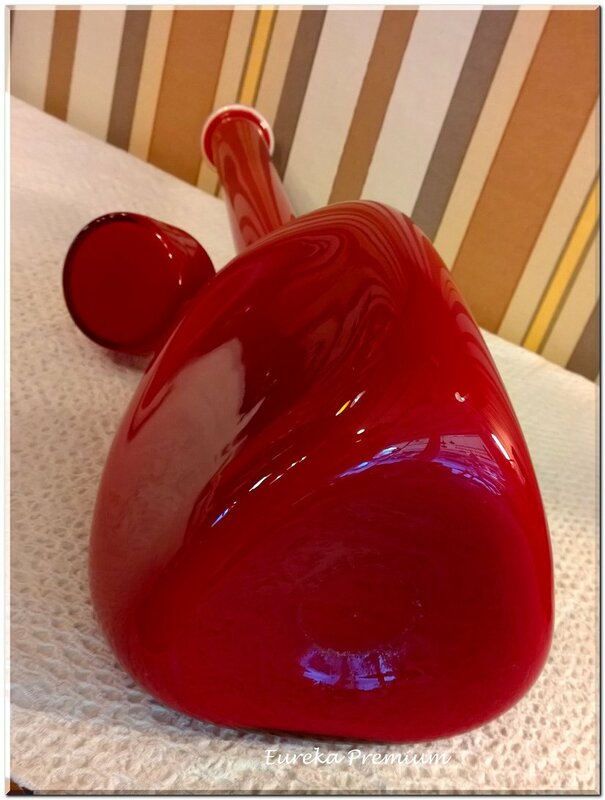 Just a small black spot from the making process. 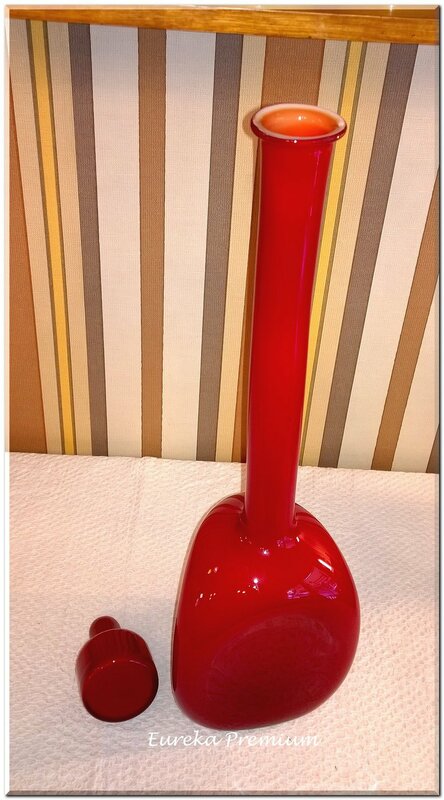 This vase is 56 cm tall include stopper! (22").